Product #6285 | SKU MID-305RR | 0.0 (no ratings yet) Thanks for your rating! The Hosa MID305RR Right-Angled MIDI Cable (5ft). 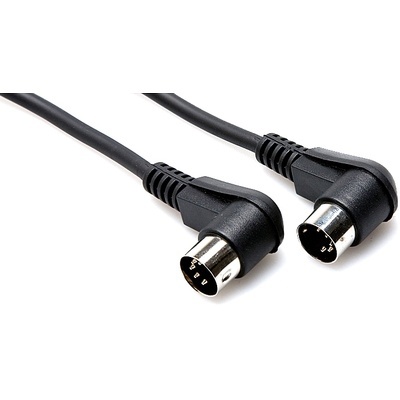 This cable is designed to interconnect MIDI devices. Right-angle connectors on both ends allow easy access to MIDI ports with minimal clearance. It is wired 5-pin discrete and compatible with all MIDI standards, including SysEx.